“Do not go gentle into that good night…” This excerpt from Dylan Thomas’ poem is used multiple times in Interstellar. In its usage Nolan meant for it to stand for the strength of humanity and its last push for survival. 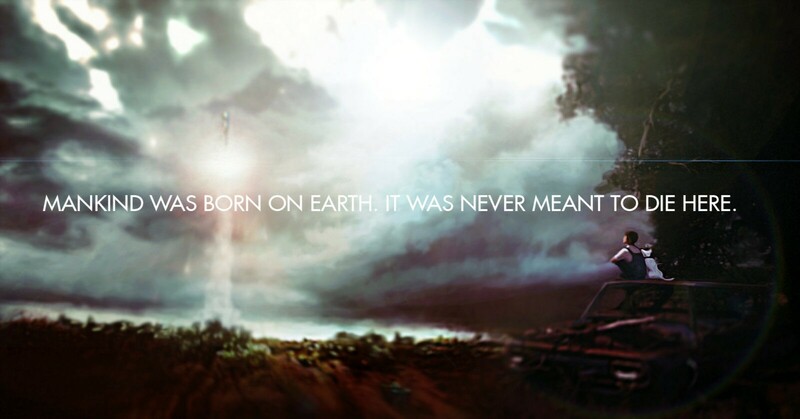 To me it sums up Interstellar; a film that leaves you on the edge of your seat because it’s not gentle. It’s intense and at its core is a story of love. It’s a smart, masterful science fiction film. It doesn’t pander and it doesn’t try to explain things. It gives you this science that exists in the real world and simply shows it to you. There are things in Interstellar that are far beyond what most people are talking about science-wise and rolls with it. Quantum physics in a blockbuster – it just works. Recently there’s been a fantastic wave of science fiction blockbuster films that root themselves into the real world, most notably Gravity. But where Gravity plays in the ‘safe’ confines of Earth’s atmosphere, it’s merely the appetizer that to the main course that is Interstellar. Christopher Nolan’s film throws you into the vast unknown where the well-known and theoretical science of space comes at you like a tidal wave. Interstellar opens on a desolate future Earth stricken with a shortage of food due to blight and dust storms. Cooper (Matthew McConaughey) is a test pilot, engineer and farmer. When his daughter happens across a gravitational phenomenon disguised as the ghost in her room, it leads him to what is left of NASA tucked away in the mountains. Hidden from the human race that has resorted to spending all efforts to simply grow food to feed themselves and lie to their children about space travel as to further their simple life of farming. NASA has a plan, using a recently found wormhole near Saturn, take the best trained pilot (Mcconaughey) and scientists (Anne Hathaway, Wes Bentley) and travel to a distant galaxy, one with promising resources to move humanity to a new home. Interstellar is driven through the universe by time-dilation and wormholes. At its core is the story of a father who makes the ultimate sacrifice by leaving the family he loves to protect them and millions of other families. Interstellar shows us that love has no boundaries no matter how many light-years apart those people are. From personal experience I realize that some of this might frighten the average movie-goer. No disrespect, but there is a proven track record with mainstream movie fans and the science fiction genre. Interstellar touches on space travel, yes, but plays with the theory of wormholes, 4th and 5th dimensions, event horizons of black holes, etc. Some critics have even taken to say that Interstellar goes too far – that the science muddles up the storyline making it stricken with inconsistencies. It doesn’t. It makes you think. It makes you realize that we are on this pale blue dot, orbiting through the vastness of space around our nearest star. That there are things in nature not of which we know about. We are more than the only beings in the universe and that there are things we are still learning. Sure it’s science fiction and to get from point A to point B in a sci-fi film you have to take some leaps. But boy, how Interstellar takes those leaps is Earth-shattering. Nolan’s use of the IMAX format is nothing new to fans, but he captures the awe of space travel in a way that we have never seen before. My advocacy of IMAX continues with Interstellar and if you have the means to see it in its 70mm glory, please do so. where Gravity plays in the ‘safe’ confines of Earth’s atmosphere, it’s merely the appetizer that to the main course that is “Interstellar”. Christopher Nolan’s film throws you into the vast unknown where the well-known and theoretical science of space comes at you like a tidal wave.